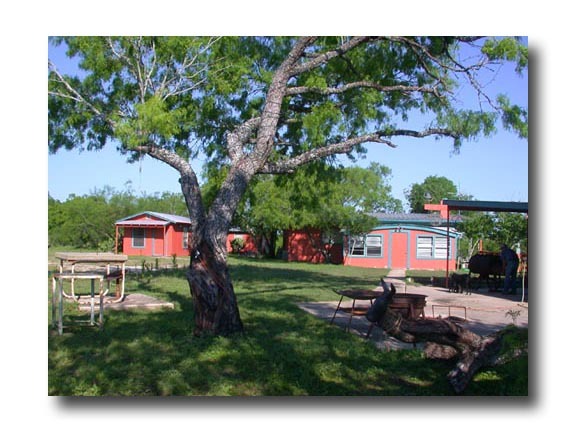 The camp consists of the main building, housing the kitchen and dining areas, a wood-burning fireplace, a spacious, enclosed front porch for visiting and bragging, and sleeping quarters for the guides. 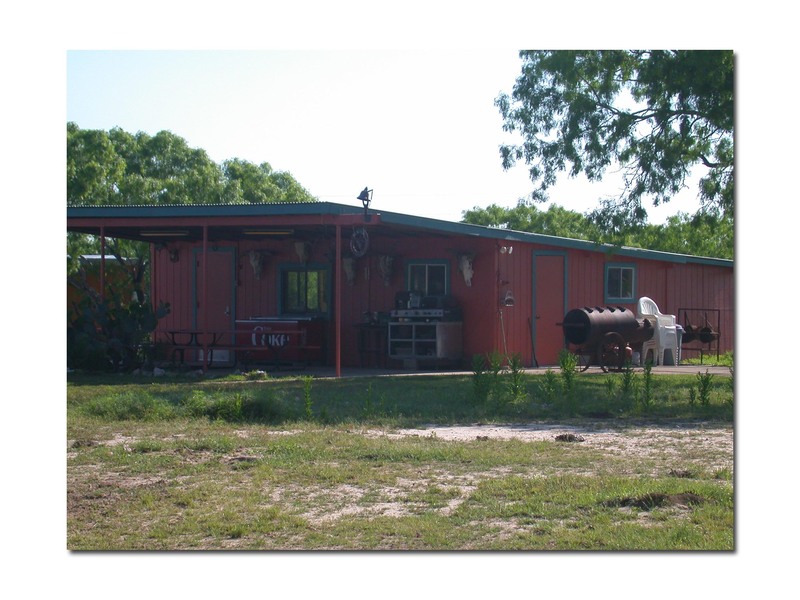 A separate bunkhouse for clients sleeps seven. The game room, with an attached porch, is far enough away from the bunkhouse to keep those late-night pool games from disturbing anyone's sleep. 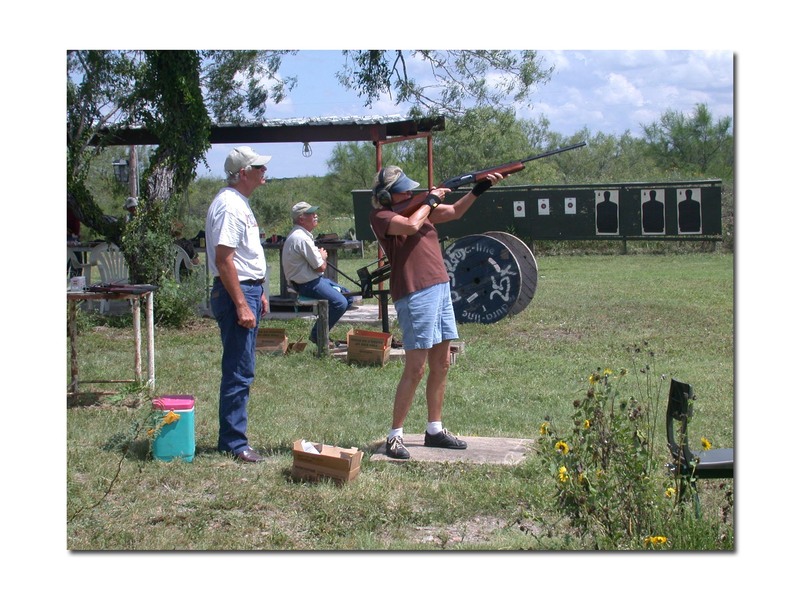 We have available a 100-, 200-, and 500-yard targets range, a 25-yard pistol range and several clay-bird setups. All major networks, plus satellite TV, will keep you from missing that big game! 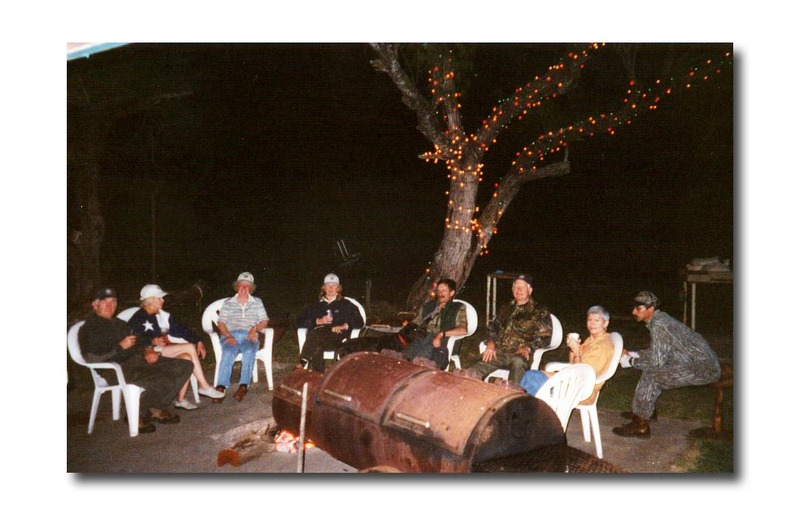 We generally close out the day sitting on the outdoor patio under a big mesquite tree, watching the campfire burn down.